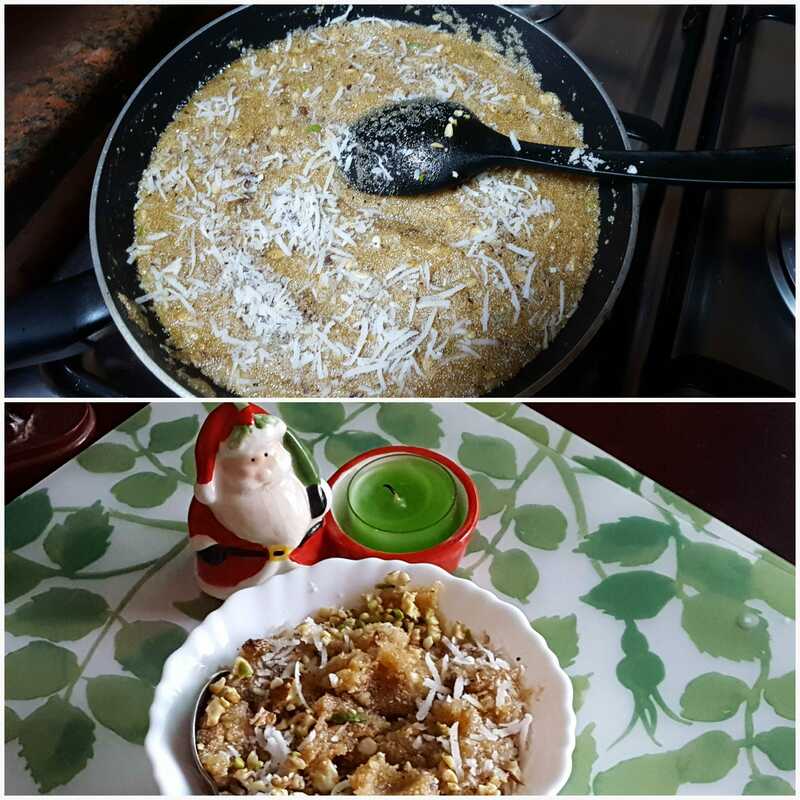 Suji ka halwa is an easy and amazing recipe.It is a very popular sweet dish all over India and is made on religious occasion as prasad offering .for God. AS Satyanarayana puja, Navratri Durga Ashtami Puja.in Satyanarayana puja halwa offer with banana and Durga Ashtami with black chana.After prayer Halwa is served to devotees as a blessing. Heat the ghee in a heavy bottom deep pan, add the semolina and saute on a medium flame 7-9 minutes, while stirring occasionally. Add milk,2 1/2 cups water mix well and cook for 2-3 minutes, add sugar, raisins, cardamom powder and mix well. cover on a slow flame for5-7 minutes while stirring occasionally. Add the all dry fruits mix well and cook on a medium flame for 1minute. Serve immediately garnished with dry coconut.